Redeeming this former school into a tool for the church through remodeling was an exciting transformation. 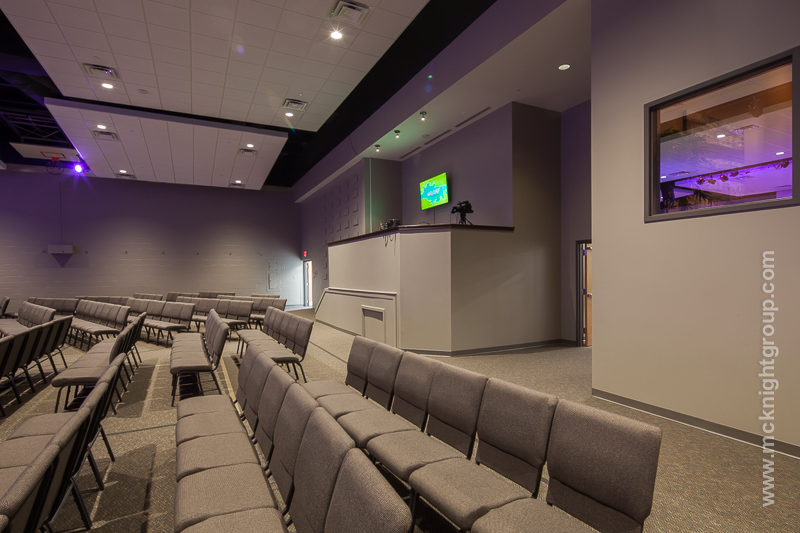 The existing gymnasium was converted into a multi-ministry worship space with an AVL booth and seating for 500+. 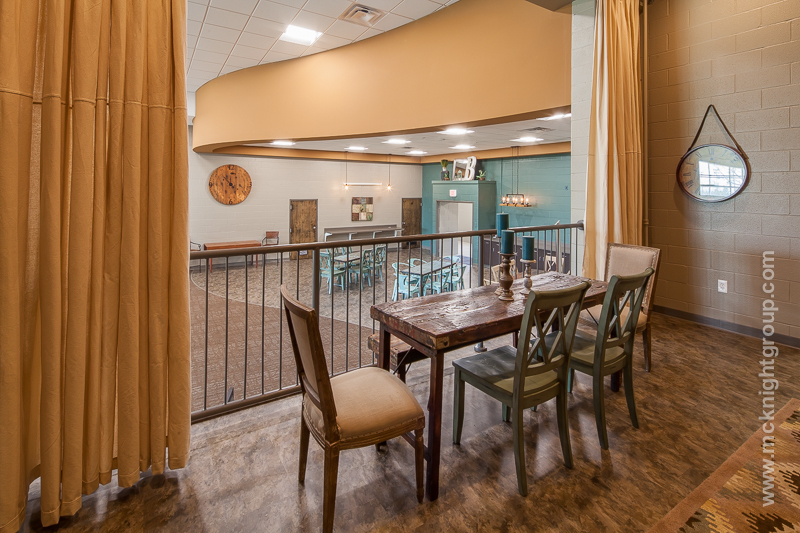 The new entry addition allows light into the space, and a new cafe with multiple seating areas were created in the old cafeteria. 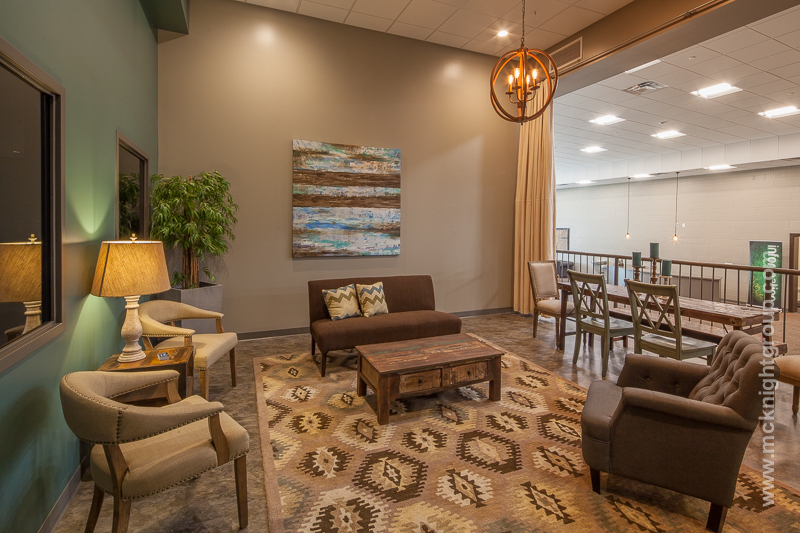 Additional features include new restrooms, a family restroom, transforming the old school offices and music rooms into a children’s wing with a secure check-in and classrooms, and remodeling the old library into offices for staff. 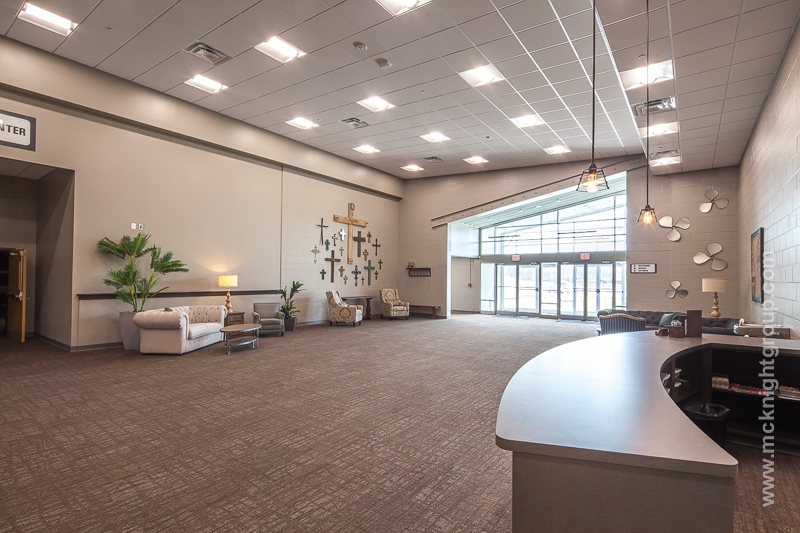 The brand new entrance at the existing parking lot now connects the community’s former school with a new worship center in Middletown, Ohio. 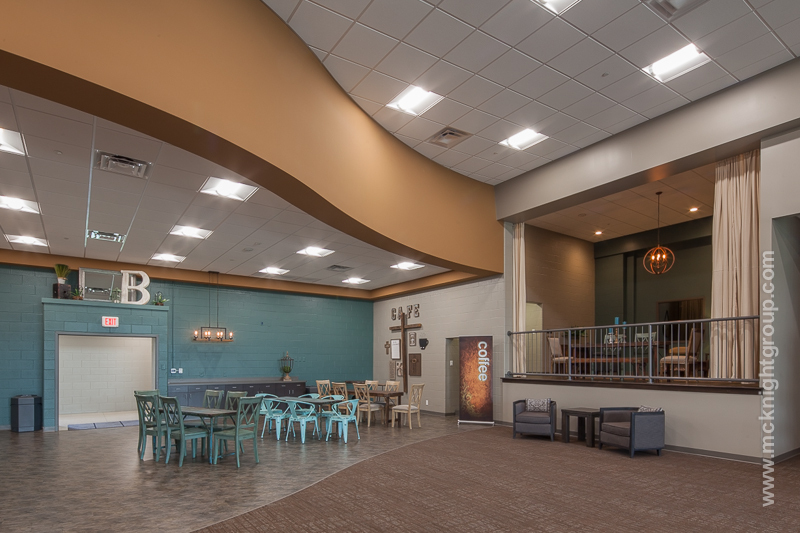 “As we moved into the “new” building, the design really shone through, and is still evidenced by the comments of our many visitors and by our own members as they use the new space week after week. 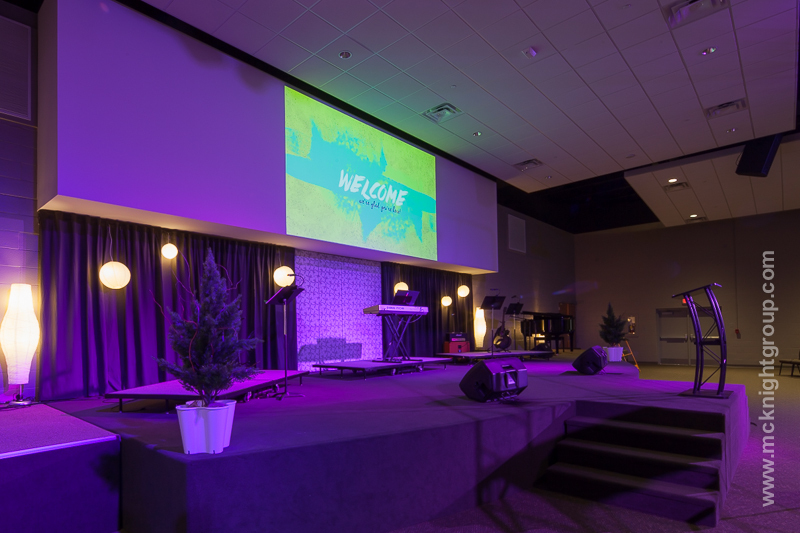 It is perhaps most important to mention the unique design decision to split the old school stage to connect the awesome 500 seat sanctuary (the old gym), and the huge Gateway Welcome Center (the old cafeteria).